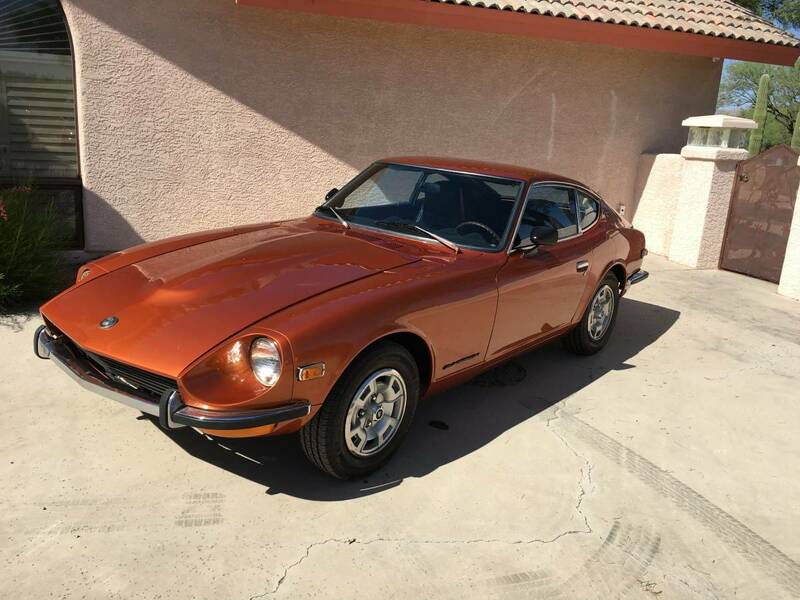 By Adam -- Setting the goal of "Improving our cars efficiency gradually and creeping up slowly before others notice" Yutaka Katayama also known as Mr. "K" not only wanted to introduce efficiency, but also style into Datsun's cars. o, the president of Nissan USA, Mr. "K" introduced the (designed by Yoshihiko Matsu) 240Z, also known as the Nissan Fairlady Z to the States in 1970. Thus began the story of what is arguably one of the best looking Japanese imports available. Here is your chance to grab one of the originals and to creep up slowly on others, but you will be noticed. 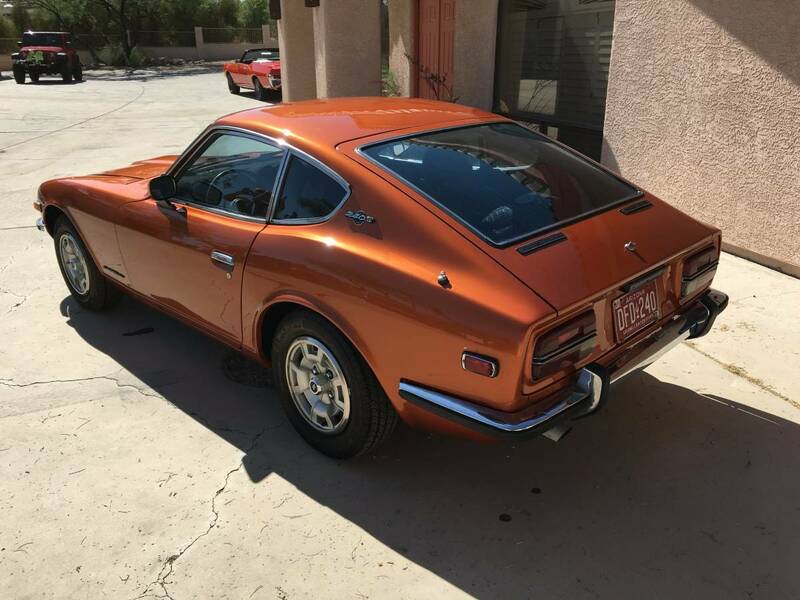 This 1970 Datsun 240Z is for sale in Tuscon, AZ for $15,000 via craigslist. 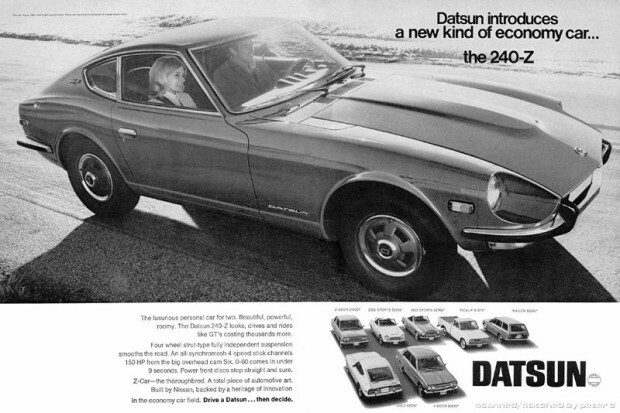 Did Datsun and Nissan succeed? Judging by the way Japanese cars, and specifically the Zs, are appreciating lately the argument they have is fairly strong. Nissan is still around and competing in every segment of the market and finally older Nissans are getting their due. The car appears to be in the original color Brown Metallic paint which is very striking with the lines of this car. With 109,999 miles a respray may account for the excellent appearance, but who cares? From Arizona lack of rust is what buyers want and the limited photos are promising. Thin front bumper look in good shape and nice and shiny. Seller indicates the engine needs a little work, but the photos show the compartment is clean. 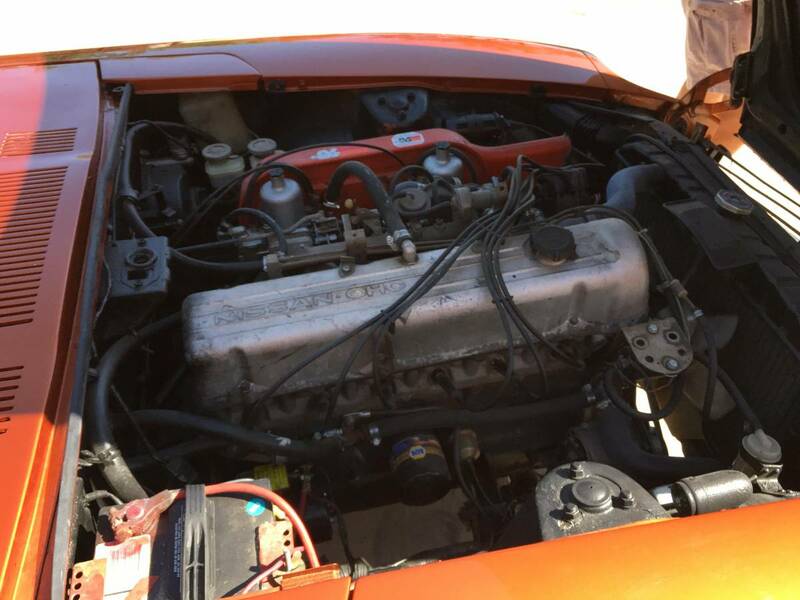 With 151 horsepower the inline six is fed by twin SU carburetors but the advertisement is silent if the originals are in place other than to say this example has twin carburetors. With a manual this makes the example all the more desirable. Looking this good would you really be happy to take this lady out with the automatic transmission? Thought not. With a seven bearing crankshaft and a recommended maximum engine speed of 7000 rpm the engine should be fun to run. No interior photos are provided but the cockpit is described as fair. Door panels listed as rough, but that gives the next buyer something to do on this car. Along with replacing the door panels you get to work on the air compressor too since that is locked up and nonfunctional. But hey, in Arizona it's a dry heat! No thanks I'll get the A/C working.